The Light of Truth Center is celebrating 17 years of providing safe, clean, and affordable housing to women in recovery. For all of those years, Vaile Leonard has been the force in bringing innovative ideas and people together to change the face of recovery. She continues to research, design, and test new concepts in an effort to improve the lives of the women she serves and to end the cycle of addiction in women. Vaile Leonard has been in the recovery process for over 23 years and has volunteered for several community service positions. She served as a state volunteer for the penal institutions for over 12 years. As a trained and certified state volunteer, this position allowed for invaluable experience in assessing the needs of women embarking on new lives, and re-entering the community. As the Visionary for LTC, Ms. Leonard is credited with spearheading and maintaining the vision, development, and implementation of a new facility and programs for women recovering from addiction. LTC provides direct support to residents by designing and facilitating skill-development programs, including lessons in decision-making, communication, and identifying and dealing with emotions. Along with her dedicated Board of Directors, Ms. Leonard coordinates all fundraising and sponsorship efforts for the Center. She also supervises and provides a positive workplace for all levels of current volunteer staff. Ms. Leonard is an excellent orator and has had the privilege and honor to speak throughout the Baltimore-Washington Area. Recently accepted membership on the Johns Hopkins SOURCE Counsel Panel for a three-year term. Effectively cultivated a safe environment to promote health, confidence, and encouragement for women to “give back to their community” after leaving the recovery program; as such, three former residents currently provide similar service to other area organizations. 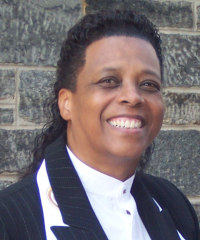 An accomplished corporate team leader and social activist, her vision and expertise in business performance, organizational and personal development has provided notable growth in The Light of Truth Center, Inc. and Maryland Association for Supportive Housing organizations. The Harry and Jeanette Weinberg Fellows program recognized The Light of Truth Center (LTC) for its work to improve Baltimore’s under-served community of women in recovery, with a 2011 Impact Award. Honored by the Baltimore Times with the 2010 Positive People Award at their 25th Anniversary Celebration. Recipient of the Soroptimist Ruby Award, 2010. The Soroptimist Ruby Award honors women who have worked to improve the lives of women and girls through their professional and/or volunteer work. A Weinberg Fellow – Alumni 2008. Guided the organization and Board of Directors through the process of attaining the Standards of Excellence Accreditation given by Maryland Non-Profit Organization. LTC is part of 84 nonprofits in Maryland to receive this recognition since the program began in 1998. Recipient of Humanitarian Award for dedication and service to recovering women; awarded August 2004, African-American Business Group, Black Wall Street. Vaile explains the LTC name during her welcome speech at the 10th anniversary fundraiser on June 24, 2009, featuring Dr. Iyanla Vanzant as the guest lecturer.